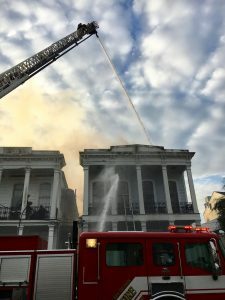 The fire started before 5:20 a.m. in the 1800 block of Baronne Street in Central City, according to the New Orleans Fire Department. Firefighters arriving at the scene rescued three people from a balcony and a fourth person from a nearby burning building. 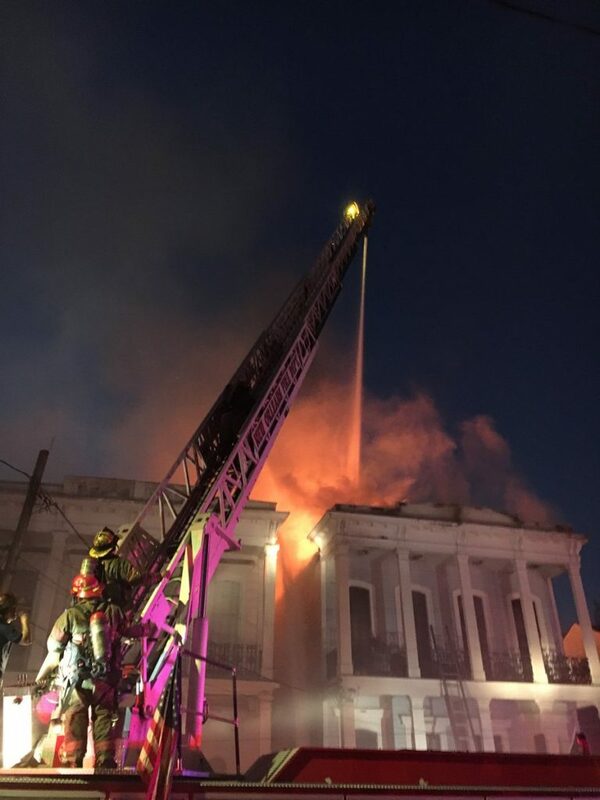 The New Orleans Fire Department posted photos on social media battling flames from a second-story window in the darkness and continuing to fight the large fire after the sun came up. The city has closed streets for equipment and personnel working to contain the fire. Baronne is closed from Felicity to Jackson Avenue, and additional streets are being closed as needed. The city advises avoiding the area between Oretha Castle Haley Boulevard, Felicity Street, Carondelet Street and Josephine Street.